Baku, the jewel of the Caspian, has a rich cultural heritage and is fast becoming a point of artistic convergence between East and West. This unprecedented period of architectural and artistic consciousness was heralded by the creation of the Heydar Aliyev Centre, winner of several design awards. 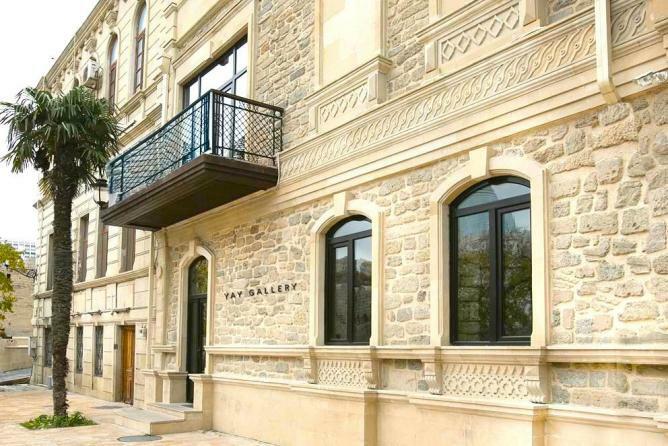 The arts are strongly promoted by the government in Azerbaijan, with numerous galleries scattered across the city. We explore YARAT, the organisation taking the lead in Azerbaijan’s artistic evolution. Founded in 2011, YARAT is a not-for-profit organisation dedicated to nurturing an understanding of contemporary art in modern Azerbaijan and creating a platform for native Azerbaijani art both nationally and internationally. Founder Aida Mahmudova is an Azerbaijani artist herself, also presiding over the role of Curatorial Director of the Baku Museum of Modern Art. YARAT – translating as ‘create’ – realises its mission by producing projects for international biennales and art fairs, such as the Venice Biennale and Art Dubai. YARAT also works closely with the Yay Gallery in Baku, which offers a platform to exciting contemporary Azerbaijani artists, whether they are firmly established or in the early stages of their career. Yay Gallery opened in September 2012 as an addition to the broader initiative conceived by YARAT Contemporary Art Space. The gallery supports and promotes the development of Azerbaijani contemporary art on both a national and international level. 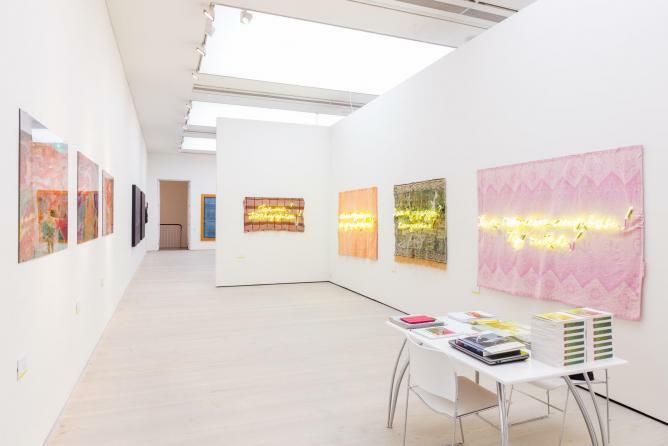 The gallery is commercial – an important aspect of the establishment of contemporary artists – with all revenue from art sales channelled into supporting YARAT and the future projects of its artists. Beyond its immediate artistic program, the gallery regularly hosts lectures, readings, film screenings and workshops conducted by the artists. In so doing, the gallery hopes to fulfil its aim of becoming an arena for the exchange of ideas between artists and the wider public. According to Aida Mahmudova, Azerbaijan’s artistic scene is still in its infancy, but developing at a rapid rate: ‘I would say YARAT is a big driving force behind [Azerbaijan’s] new burgeoning activity. YARAT’s goal is to be innovative and educational, pioneering contemporary art at a truly international level’. YARAT, along with the Yay Gallery, helps to inspire an emerging generation of creative individuals who are seeking a career in the cultural sector. With this in mind, YARAT’s programme ARTIM – meaning ‘progress’ in Azerbaijani – aims to give young artists, curators, graphic designers and photographers the opportunity to discuss their work with professionals and have the chance to be selected for exhibitions. Some of the artists discovered through ARTIM have now exhibited their work alongside established local and international artists, with some even conducting their first solo exhibition with the help of YARAT and the Yay Gallery. Rising star of YARAT Faig Ahmed, curated Zavod as part of this ARTIM project. Zavod was a multimedia exhibition featuring 29 emerging artists from Azerbaijan, which took place in an ex-Soviet air-conditioning factory in Baku. All of the artwork associated with the Zavod project was linked to Azerbaijan’s cultural heritage and with strong reference to its Soviet past. 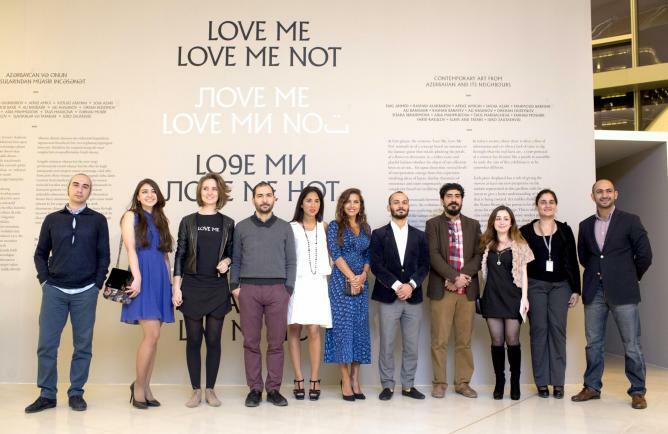 Further examples of YARAT’s collaborative projects in Azerbaijan include Love Me Love Me Not at the Zaha Hadid-designed Heydar Aliyev Centre in 2014. Debuting at the 55th Venice Biennale in 2013, this project brought together the work of 16 artists from Azerbaijan and neighbouring Iran, Russia and Georgia, seeking to examine the shared cultural history of these territories and their shifting borders. The success of this exhibition, as Aida Mahmudova saw it, was that it ‘presented a little-known part of the globe to the top tier of the art world and the international public’. Also in 2013, YARAT launched BacarArt 2014 – a children’s art project – as well as an ARTIM Open Doors Day, the Future Shorts Film Festival and a performance and exhibition by French performance artists Les Gens d’Uterpan at Yay Gallery. In June 2014, Yay Gallery played host to Iranian artist Mahmoud Bakhshi’s hugely successful solo exhibition entitled TalkCloud. 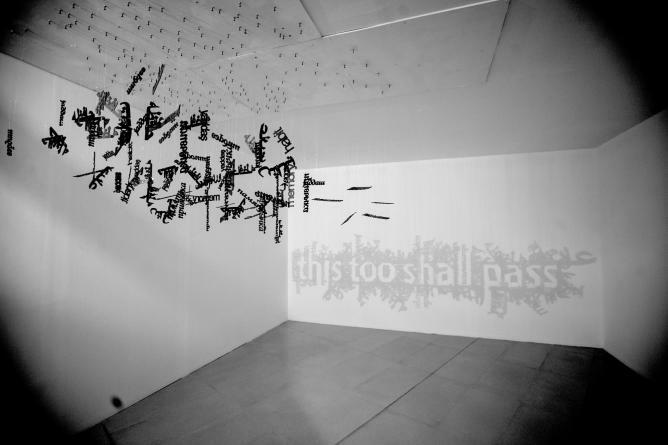 TalkCloud was a cross-disciplinary project that consisted primarily of light-box sculptures, as well as drawings and video art. The cloud-shaped light-boxes referenced well-known phrases that commented upon the socio-political function of art. The project was exhibited earlier this year at Niavaran Cultural Centre in Tehran and also at the Narrative Gallery in London. In addition to this, Yay Gallery was also represented at START Art Fair in London throughout June 2014, which exclusively exhibits and promotes emerging galleries. The two artists presented – Farhad Farzaliyev and Nazrin Mammadova – skilfully encapsulated the spirit of Azerbaijan through modern mediums including neon and print techniques. International art aficionados from established artistic hubs and critics from famously cultural cities such as London and New York, are sitting up to take notice of Azerbaijani artists thanks to the work of YARAT and YAY Gallery. 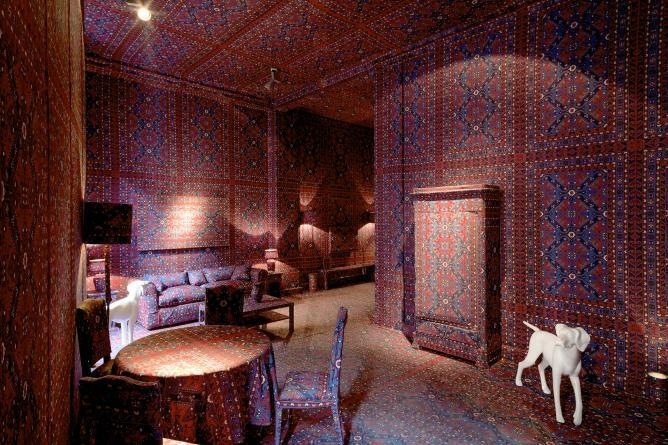 One artist who has gained particularly significant international recognition – having begun his career at YARAT – is the phenomenally talented Faig Ahmed, who was exhibited at the Victoria and Albert Museum in London during early 2014 and has had exhibitions in New York and Dubai. At his upcoming solo exhibition, entitled Fluid Forms, Ahmed will unveil new bodies of work created during his residency with Cuadro Gallery in Dubai earlier this year. A further two artists soon set to emerge triumphantly onto the international art scene are YARAT discoveries Orkhan Huseynov and Farid Rasulov. Orkhan Huseynov was shown at Art Dubai in 2014 and also presented at Vienna Fair in October 2014. Farid Rasulov, who currently has a residency at Delfina Foundation, recently enjoyed success following his debut Paris exhibition entitled Dogs in the Living Room at Galerie Rabouan Moussion. Following the success of this series at the 55th Venice Biennale, Rasulov presented an installation featuring floor to ceiling panels of traditional Azerbaijani carpet, challenging the traditional Western idea of the ‘white cube’. Heading into 2015, YARAT aims to exhibit again at the Venice Biennale as well as displaying new discoveries at Art Dubai and representing Azerbaijan at the Vienna Fair. YARAT are excited to open their dedicated art centre in early 2015, firmly placing Azerbaijan on the map. This innovative centre will have an extensive program of international exhibitions as well as a stunning permanent collection, further solidifying YARAT as the champion of Baku’s blossoming contemporary art scene.